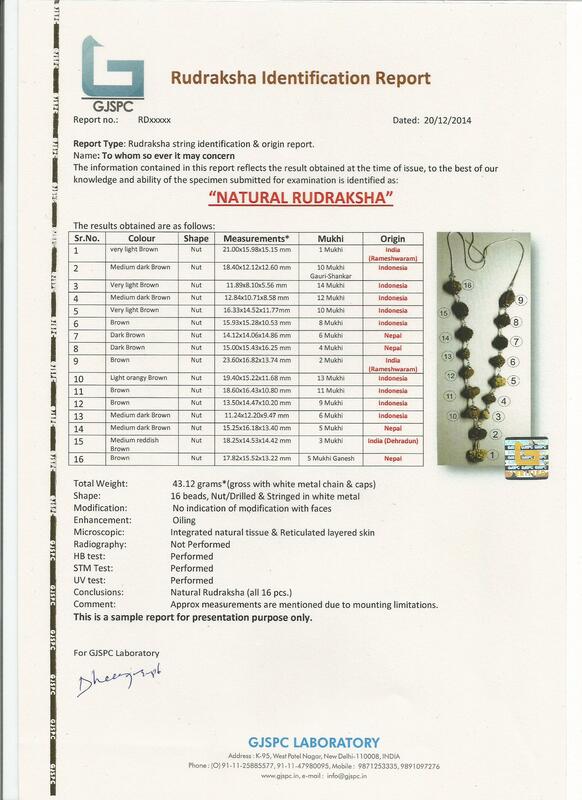 The GJSPC Laboratory Rudraksha identification Report with origin includes an assessment of all the factors affecting the value and originality of Rudraksha. Every report includes Unique Report Number, approximate Picture, and measurement, along with its identification characteristics. 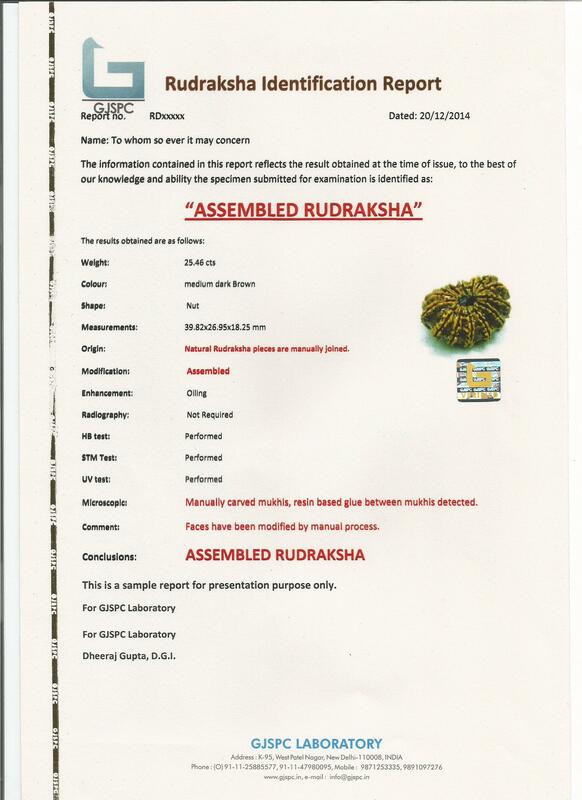 Each GJSPC Laboratory Rudraksha Identification Report also is a surety of no Treatment, no Modification unless specified on the report. 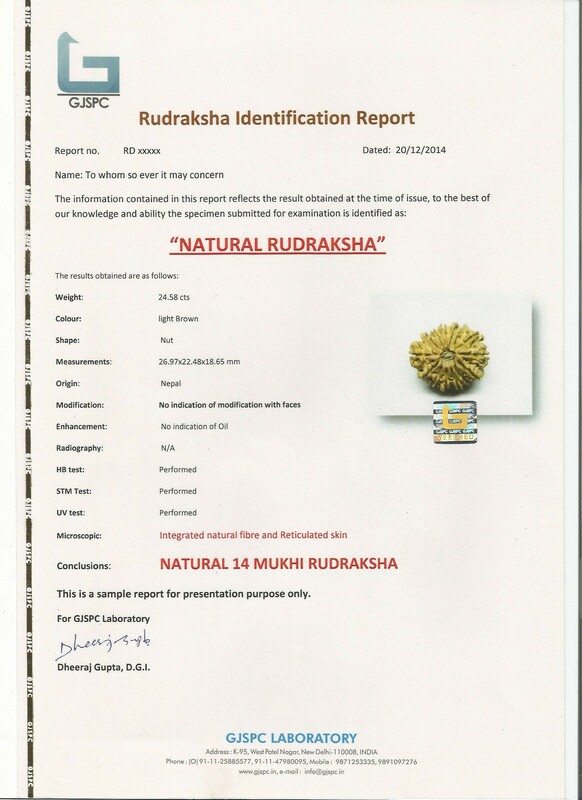 This report can be issued for a single piece or for a strand or kantha.